The thing with living in Colorado is that it tends to be cold for a lot of the winter. I don’t like to spend a lot of money on utilities, so I like to run the heat as low as possible. It also seems that even when it’s freezing in the house, my wife is complaining about how hot it is as she sits under the heated blanket with sweatpants on. Get out from under the blanket you say? That won’t work because it’s too cold then. What that all means is that I end up in the cold frequently, and while I could resort to my own heated blanket, I’m by god not using a blanket when I don’t want to. Such is the power struggle in my house. Then I saw the Egloo. This thing claims to be able to heat a room using just three tealight candles. 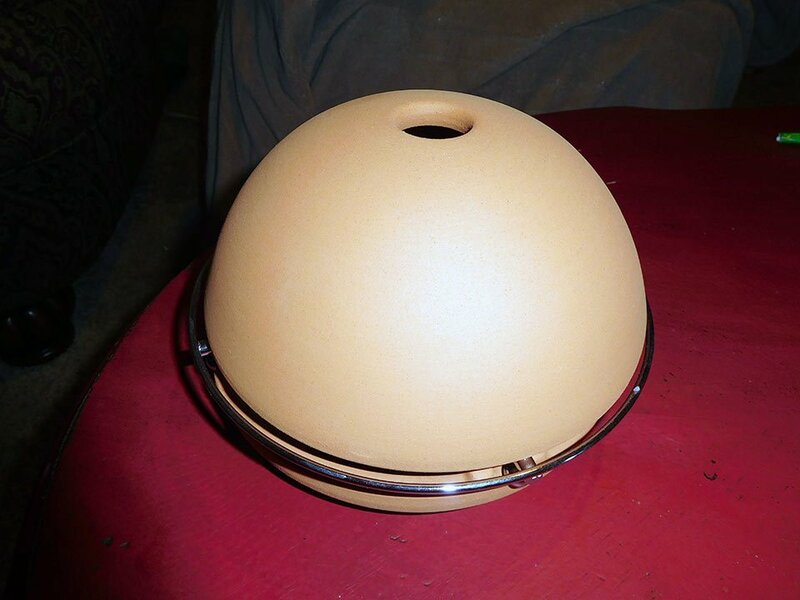 The guys behind the Egloo sent me a sample to check out, and at first glance it sort of looks like someone broke grandma’s old terracotta planter. 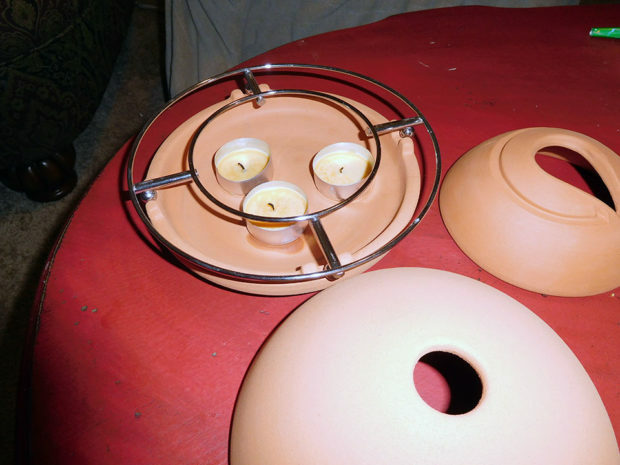 The works consists of four pieces including a terracotta base where you place the three candles, a wire rack that sits atop that base, a small inner dome, and a larger outer dome. 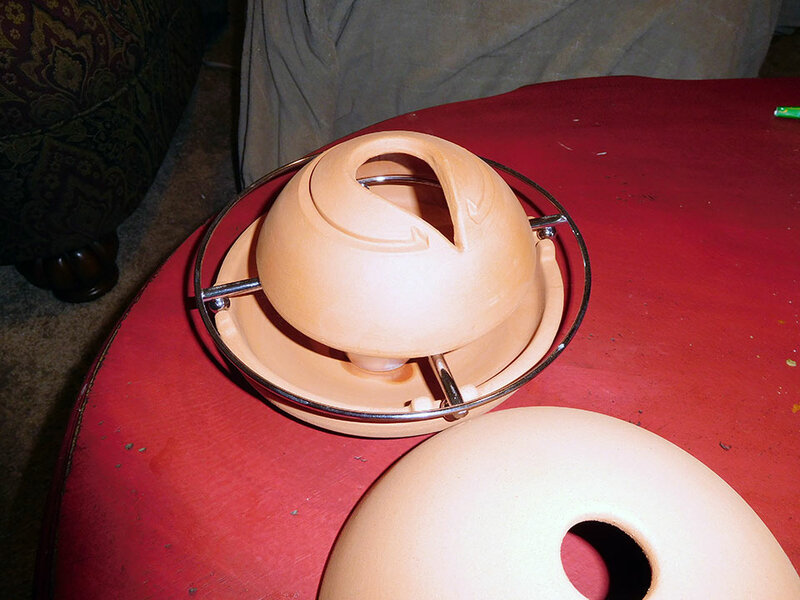 That inner dome has a large slot opening and the top base dome has a hole in top. I was very skeptical that three candles could produce any meaningful amount of heat, but it certainly does. 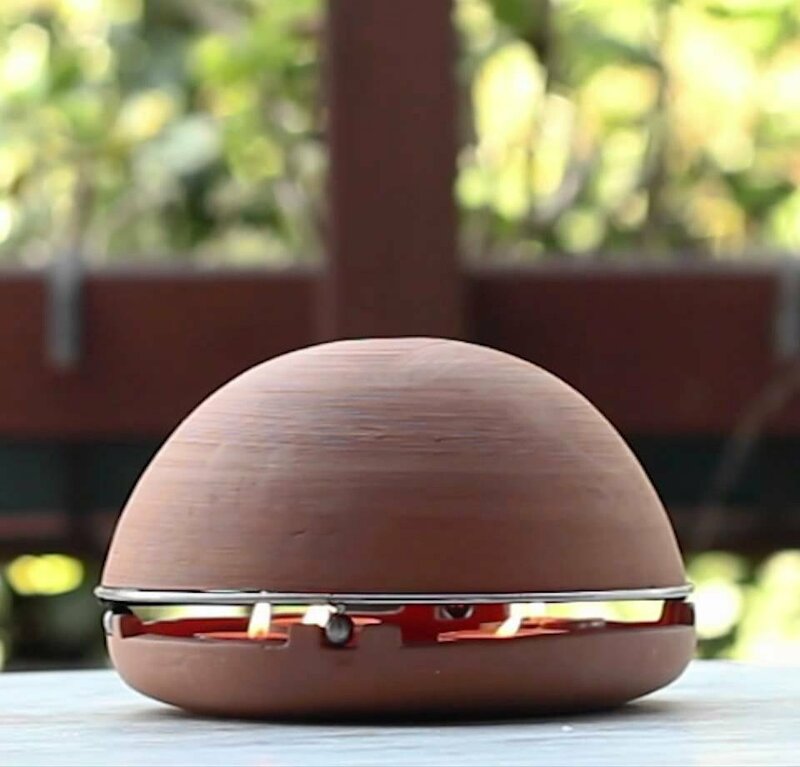 The way the Egloo works is the candles heat up that inner dome that sits on top of the wire rack. The outer dome eventually heats up, significantly mind you. It doesn’t get hot enough to set things on fire, but it does get hot enough to be uncomfortable to place your bare hand on the outer dome. As the candles burn, the outer dome continues to radiate heat and it most definitely will heat a small room. My living room is very large and ties directly into the kitchen and dining room with no walls. I placed the Egloo on the table beside me, fired up the three candles and waited. After about ten minutes of burning, the outer dome was very hot to the touch and the heat radiating warmed my area up perfectly to kill the chill. I can only imagine in a smaller space the heat produced would make even more of an impact. In fact the Egloo produced enough heat that about 20 minutes into the candle burning that my wife started to complain it was too hot. My suggestions that she turn off her blanket fell on deaf ears. I burned the heater three times for about 30 minutes each time on a single set of candles, but your mileage may vary. The instructions did say you can also use scented candles if you want, and it says to never use more than three candles. Four or five would fit, but you don’t want to break something, or cause your wife to complain any more than needed. The idea of heating a room with tealights may seem far fetched, but the Egloo really will produce enough heat to warm rooms with only three candles. My Egloo came in raw terracotta, but you can get it in black, red, and several other colors. The natural color Egloo sells for about $65(USD) over on their website, and the colors are just a few dollars more. It’s a very inexpensive way to heat a room and makes quite the difference. This might be the perfect space heater for that person in your office who is always freezing.